Business Development) who gave us a product overview and discussed PreSonus products and their functions. Hermes Digital planned two different training sessions; one with the stores sales personnel and the other with the Hermes Music Pro Audio team, service department, sales department and digital audio personnel. People were excited about the products and had many questions about software and hardware. Mark showed and explained every single PreSonus product in detail, showcasing the features and qualities that make PreSonus products unique in their class. Hermes Digital are constantly working for PreSonus, spreading information about the products and working on clinics and training in order to get PreSonus products into the users’ hands—with all important information in Spanish! 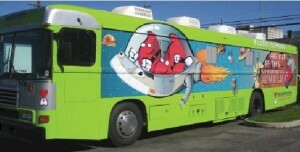 Clinics and special events like these are critical to our market. At the end of the training, the Hermes Digital team took some time to tour Mark around our stores. Some of our strongest points of sales are through the main musical stores located in the capital of Mexico. The historic center of Mexico City, AKA the “Centro” or “Centro Histórico,” expands in all directions for a number of blocks. The Zocalo is the largest plaza in Latin America and the second largest in the world! It can hold up to nearly 100,000 people. Bolivar street, placed in the historic center of Mexico City, is the most important location for selling instruments and audio equipment in Mexico City. Mark was amazed by the branding, marketing and business strategies Hermes Digital has put into action in such a short time. He also saw lots of people in the streets and inside stores buying and constantly asking for digital audio products. It’s been an honor to have Mark visit us in Mexico! 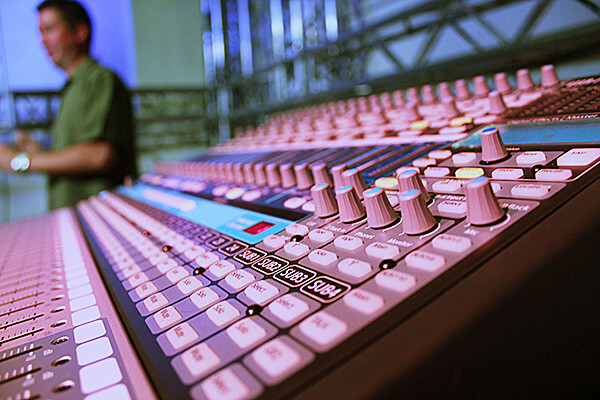 Gene Baker over at Music Insider Magazine recently published this great two-part blog series on using the StudioLive mixers for silent rehearsals. The benefits of this are twofold: first is the critical importance of hearing protection; he looks at the steps you and your StudioLive can take to preserve what’s left of your precious hearing. Second benefit of silent rehearsals: no angry neighbors! Click through below to read the posts in their entirety. 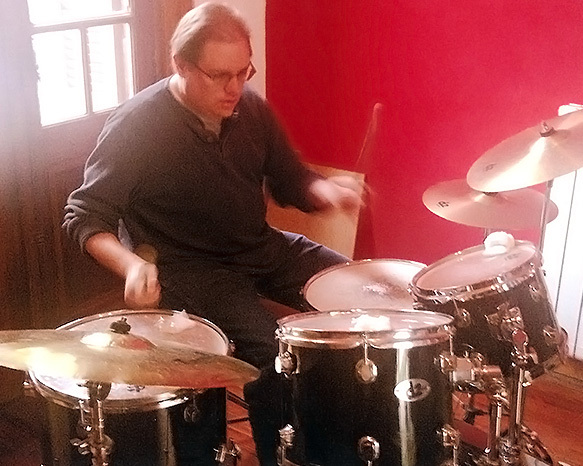 #TeamPreSonus Spotlight: Eric Peterson of Rust Magazine! Hello, I am Eric Petersen, head writer and publisher of RUST Magazine which focuses on writing thorough reviews and doing interviews of emerging artists, mostly in the indie rock space. I’m also DJ Slack, and at my events I play a mix of the new music that comes to me at RUST plus vintage vinyl from thrift stores and garage sales. A typical night with me on the decks mixes punk rock, scratchy old lounge LP’s and fresh new music. Recently I picked up a BlueTube DP V2 to add analog warmth to my DJ kit sound. It worked so great, I reached out to PreSonus to get more involved with their family. Tell us how you use your BlueTube DP V2! I use a BlueTube DP V2 as the very last piece of equipment on my signal path for the purpose of adding strength and personality to my sound. Not only is most of the music I play digital, but there’s even a second digitizing EQ along the chain. Adding the BlueTube DP V2 allows me to “warm up” the digital sound with a pair of real tube amplifiers. The result is a richer, fuller sound with a stronger low end and an old-school feeling that most digital music and devices are lacking today. The PreSonus BlueTube DP V2 totally upgraded the personality of my music and people are constantly asking me about it. They hear the music and ask what kind of equipment I am using and I always tell them that having the twin tube amplifiers is what makes my sound so unique. What’s so great about PreSonus is that their physical equipment is designed by people with a real passion and understanding of music technology. They’re like your twin, finishing your thoughts. They know what you want, and they work their butts off to make quality pieces that are intuitive to use, and affordable to buy. PreSonus equipment has a vibe, a groove, and a style all it’s own. For me it delivers a personality that adds a whole new dimension to my events. It sets a mood that other gear just cannot compare to. The hits just keep coming! Here’s American Idol’s Nick Cooper on why he switched to Studio One. Want to show you something. I saw Big Joe Daddy’s Big Multi-Pin Panel-Box Thingy post on the PreSonus blog. It looked very professional! I too use the StudioLive 24.4.2 on various occasions and locations. 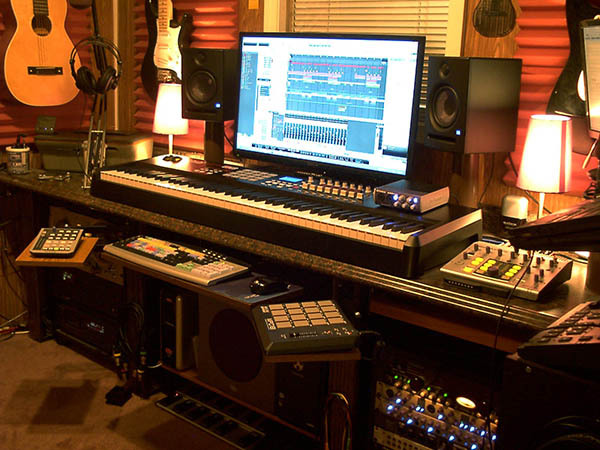 We all want to get the best mixing position for our bands and the easiest place for the console. 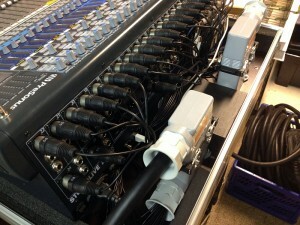 But having said this, we all know that having at least 30 cables to the mixer on the other end of the stage isn’t easy. It gets messy. So I wanted a flexible solution for my band(s). One band is very different from the other. One is almost completely acoustic, with 3 vocals, acoustic/electric bass and guitar, accordion, and drums. We use two auxes for wedge mixes. The other band is completely electric, with 3 vocals, drums, electric piano, guitars, and basses. No amps on stage, and four stereo in-ear mixes for monitoring. 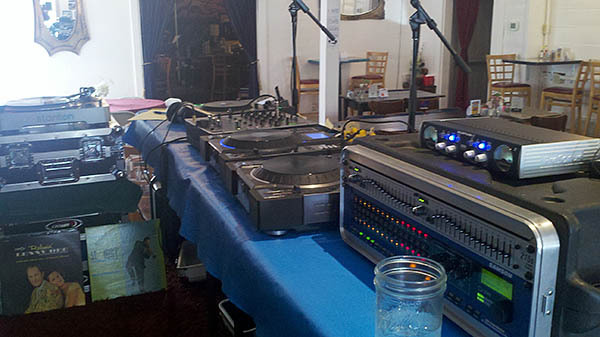 My StudioLive is also used in churches and other events. I wanted to make a flexible and very compact snake-system that I could use in both situations. I wanted to have the possibility to get all 24 channels from the stage to the Studiolive, and to get the main and subgroup-outputs plus all the aux outputs back to the stage. Ordinarily, this would require a single 40-channel snake. Everybody knows that these cables are heavy, and not easy to use at all. 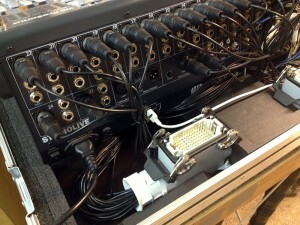 And every time, I would have to plug in 40 cables into my mixer. I had a 30-meter 16.4 snake for a couple of years, and I thought, ”Why not have two of these 16.4 cables, with multi-pins in the mixer case?” So, I bought another 16.4.2 multi-core cable to make a total of 40 channels. 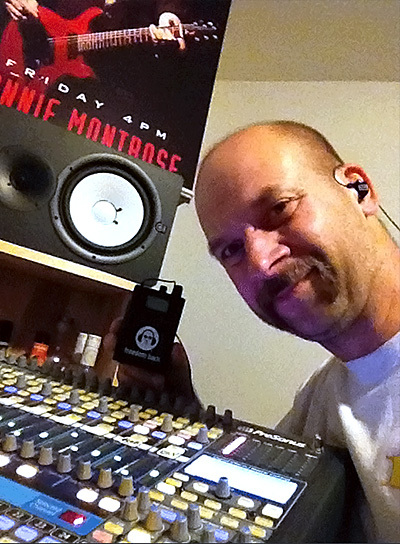 I keep my StudioLive 24.4.2 in a Thon mixer case, from Germany. This case was made for the SL and it fits perfectly. Nice thing about this case is the “semi” doghouse configuration. This gave me room to mount the multi-pin connectors in the case. It took me a week or two to make all the connections and to change connectors of the second stage box. Stage box one has 16 inputs and four outputs (A, B, C, and D). Stagebox two has eight more inputs, all 10 aux outputs from the mixer (with Neutrik combo sockets) and two more outs, E and F. This all gives us 24 inputs on the StudioLive and 16 outputs from the mixer on stage. With our acoustic band, I only need one snake, and with the other band I use both snakes. Now we can put the mixer anywhere we like, setup time is much quicker than before and we don’t have to carry very heavy cables. See the attached photos for the result. Maybe this helps other StudioLive users to get ideas about their set-up. Greeting from a very happy StudioLive user! “De Duifies” are singing Dutch songs from a very popular tv series “ja zuster nee zuster” back in the sixties in the Netherlands. “Spoetnik” started in 1980 and plays mostly covers nowdays. thanks and best to you too! !